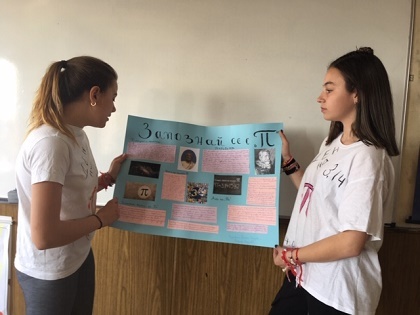 Mathematicians from 6th.B class at “Ivan Vazov” Secondary school - Sopot celebrated the Day of the number Pi. Today, because the date, 03.14 ... as it is written, gives the first figures of the mathematical constant 3.141592653. 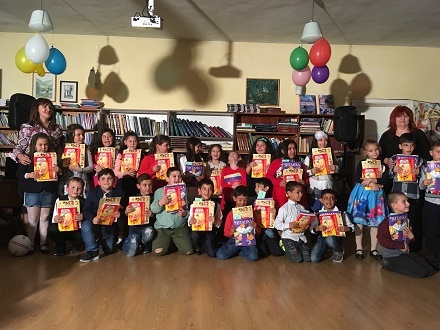 Mathematically enthusiastic, the students held a festive class in Mathematics, presenting thematic projects - tables, bracelets, T-shirts and sweets. On 14th March 2019, mathematics teachers presented the magic portal to the world of Mathematics of all schoolchildren.